In September I arrived to Purchase College to spend the semester as an Artist in Residence in applied design. 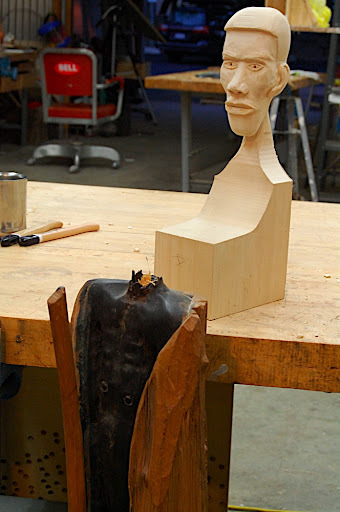 I mentioned this in one of my previous blog posts and commended the woodworking program here. 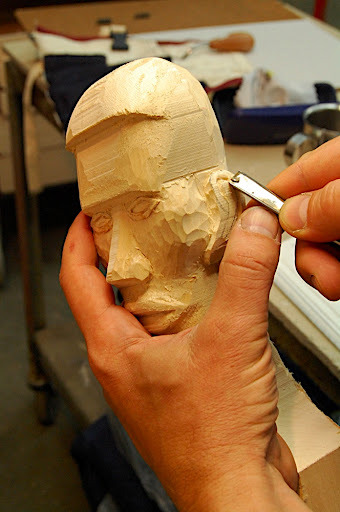 My first project was a reconstruction of a head that gone missing... yes exactly like this! A head that I never saw, but only heard of. The missing-head sculpture is part of an impressive collection of ethnographic artifacts which belongs to the grandfather of a close friend. At some point, while the family was moving form one house to another the impressive Masai worrier was decapitated. Oliver, the owner of this piece, kept the head but at one point it got lost. 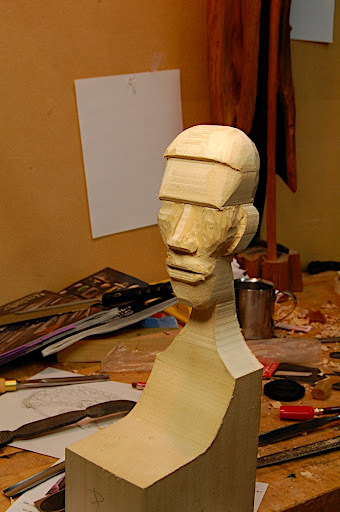 So when I took the sculpture body to set up a plan to carve a new head, I could only relay on some research and much interpretation of what this head looked or could look like. 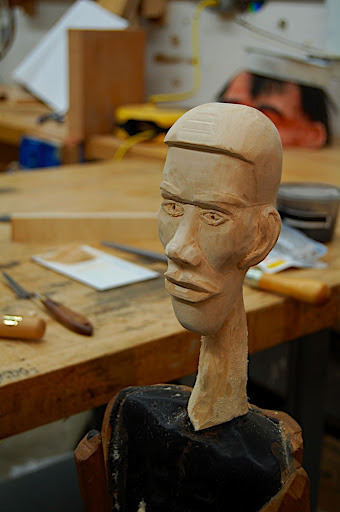 Oliver gave me free hand to execute an artistic freedom and interpret what I think should be the form and aesthetics of the new head. I loosely base the new head on pictures of Kanyan warriors and Israeli warriors of Ethiopian descent. I first drew several sketches/alternatives of the head's front and side view. 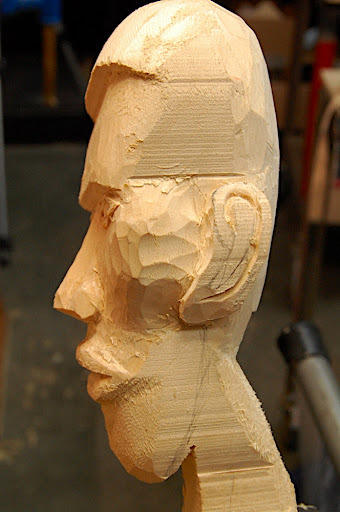 Then I transferred the sketches onto a piece of basswood that I found. 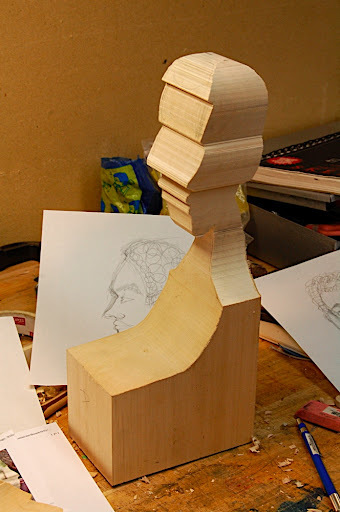 The shape of the basswood determined the actual propositions of the head; it was rather long and narrow. 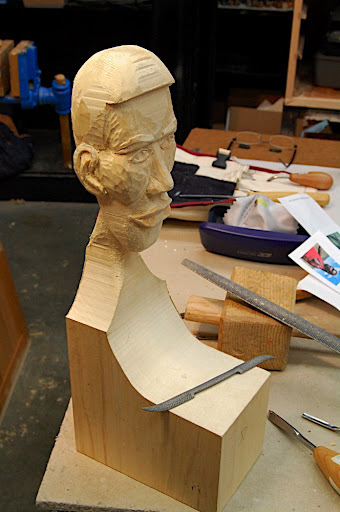 I band-sawed the side profile, then I turn the head 90 degrees and sawed the front. 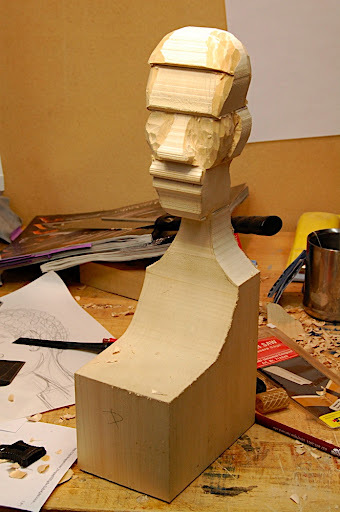 Next time I will continue to show the evolution of the head.